volunteer - You Grow Girl! Thank you for your interest in learning more about volunteering with You Grow Girl! Listed below are our current opportunities. 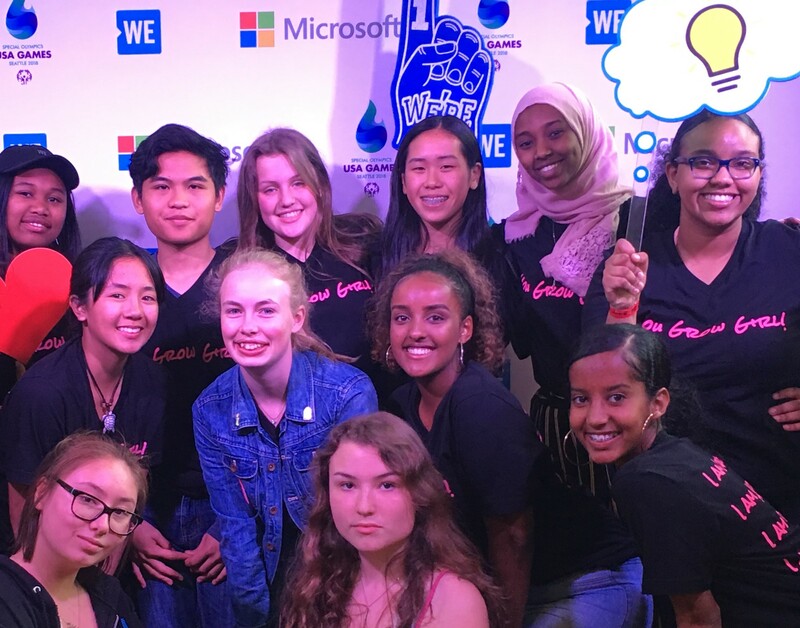 By participating in this volunteer program, teens gain community service credit needed for graduation, professional experience in a non-profit setting, exposure to expressive arts interventions tools, and girl-empowering events as well as a chance to collaborate with peers from all over King County. The Board provides governance to the organization, represents the organization in the community, and accepts fiscal responsibility for the effective use of the resources of the organization to fulfill the mission of You Grow Girl! The Board of Directors is responsible for defining the organization’s mission, setting policy and developing the strategic direction for the organization. We are looking for individuals, 21 and older, to join the Board whose areas of strength include: fundraising, public relations, marketing, education, behavioral health, social justice, youth development, financial management, non-profit, and law. We’re committed to assembling a diverse board to represent our youth and families. Men, people of color, former participants/family members, and community members are strongly encouraged to apply. Applications are accepted year-round with interviews in May/June and appointment in August/September. The Committee oversees all fundraising activities and events on behalf of the participants of You Grow Girl!. Activities include organizing online campaigns and hosting annual events. If you live to plan events, meet new people and have some fun while creating opportunities for our sisters to thrive. We want you! Meetings are held once a month on Wednesdays from 6:00-7:30pm at our Lake City office. Applications are accepted year-round. Questions: contact Marissa Bradley, Development Director at (206) 280-2056 or email. If you got the time we have the opportunities. From mentoring our youth to helping us with our annual fundraising events, we are always in need of awesome volunteers. Complete the Volunteer Interest Form and our someone will contact you. We look forward to your involvement in You Grow Girl!